I want to thank everyone who took the time to stop by during the SMS giveaway, and say hello to me. The feedback on my shop made me blush a little. I took all the wonderful fabrics into consideration, in fact I even ordered some to. You will have to wait and see what shows up in the shop this week. A lot of the items there now are the last of it's kind, so if you want it you better get it quick before it's gone. 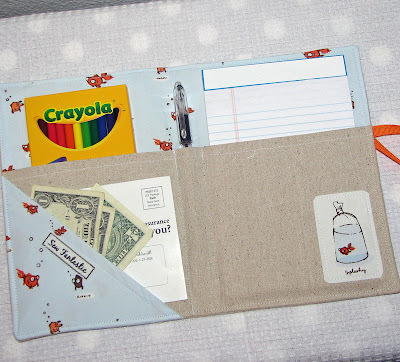 I am still holding the buy 1 get 1 half price on both the crayon wallets and the carryalls for a few more days. SO THANK YOU THANK YOU THANK YOU EVERYONE!!!! I love the slippers...so cute! and all the fabrics you made them in are so fun too! i LOVE the organizers. what a beautiful and fabulous idea! It's not to late to pick up that great gift, visit the shop now for super sale prices (limited time only) And thank you all for participating. Congratulations Mary Grace & Christina. Thanks, Terri, for the giveaway. This was lotsa lotsa fun! Oh how exciting! Now I'm going shopping with my $20!